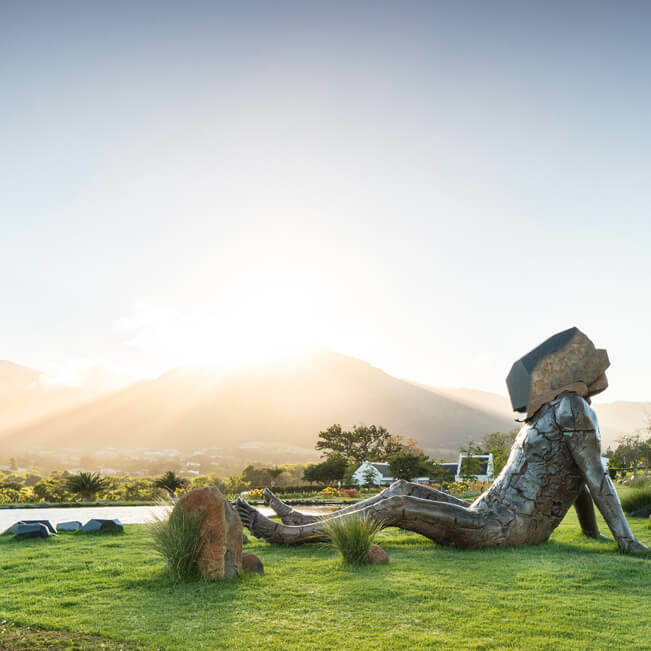 Pivotal to the founder’s vision for the Bokkie Garden, this powerful landmark gazes out over the Franschhoek valley. 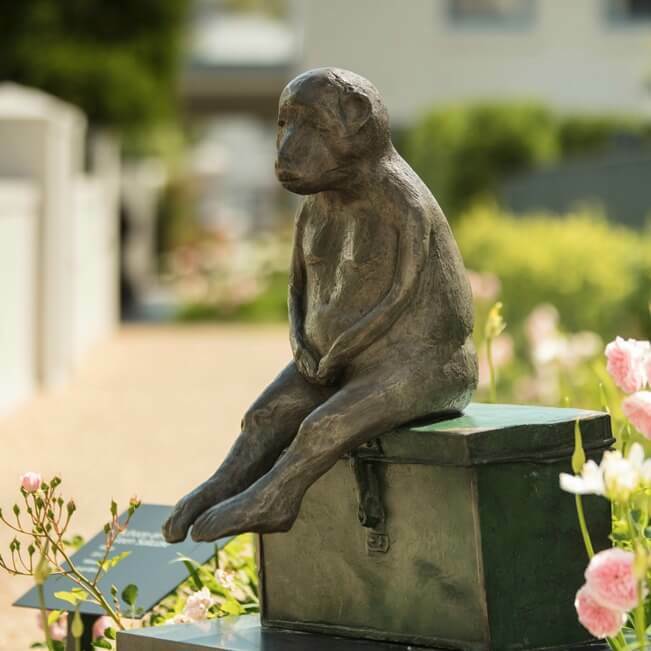 This sculpture is placed in the centre of the Four Quarters Vineyards where four walkways cross and four bright red benches invite guests to take some time for quiet contemplation. 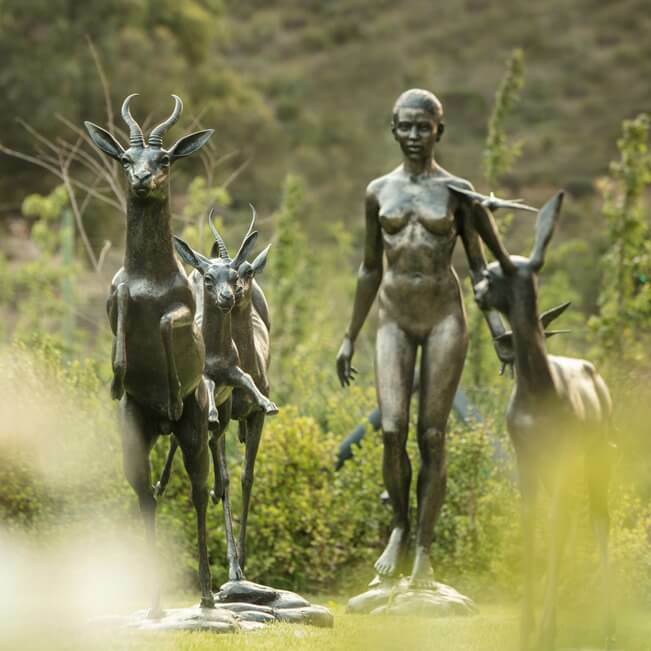 Diana, the goddess of the forest and animals, walking with a small herd of springbuck in the Bokkie Garden, pays tribute to the wild animals that once freely roamed these mountain slopes. 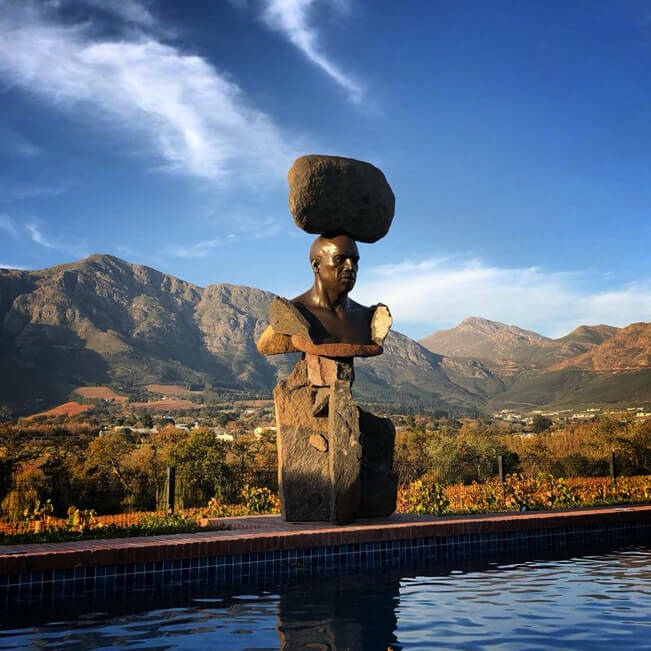 Placed on the edge of the pool overlooking the Cellar Quarter, this sculpture anchors the south-eastern part of property. 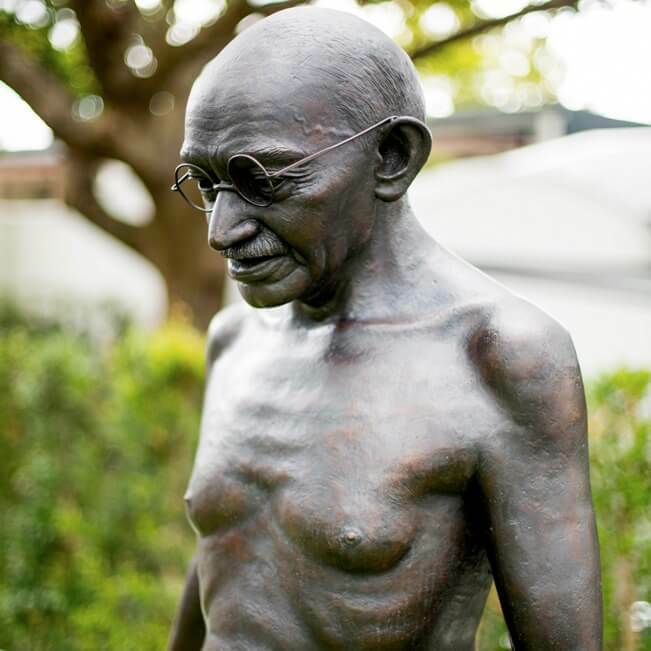 This sculpture, which pays homage to the cherished Indian political and spiritual leader Mahatma Gandhi, is placed in the front garden where it is visible from the main road of the village and sees the most passers-by. 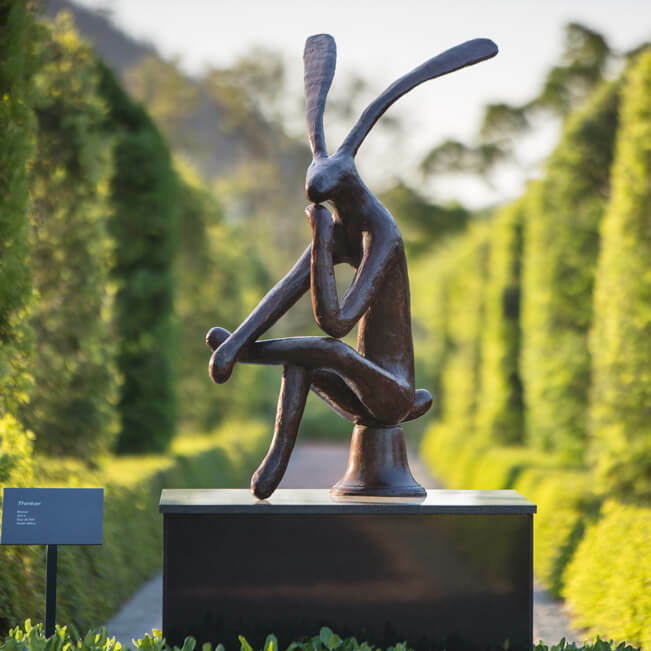 Personifying the iconic South African political leader Nelson Mandela, the open chair invites the viewer to interact with this sculpture. 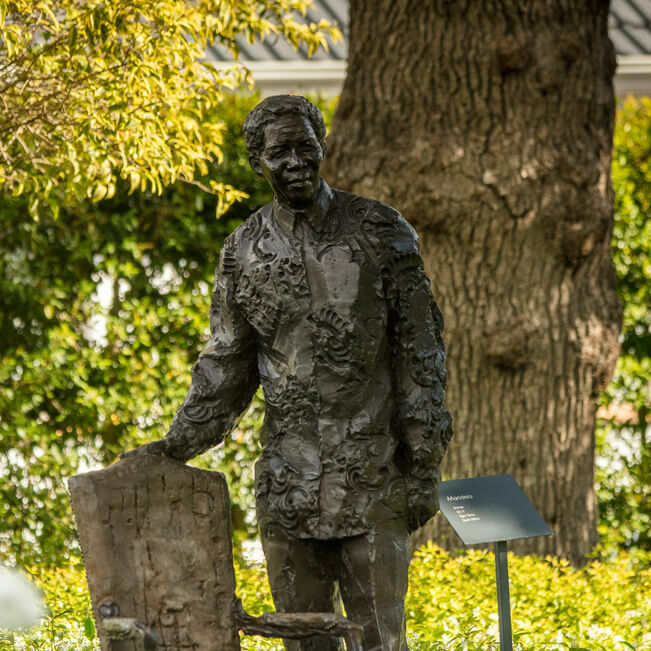 Facing Gandhi, Mandela is juxtaposed against the backdrop of Leeu House, which was built in a Cape Dutch style, reflecting history and tradition. 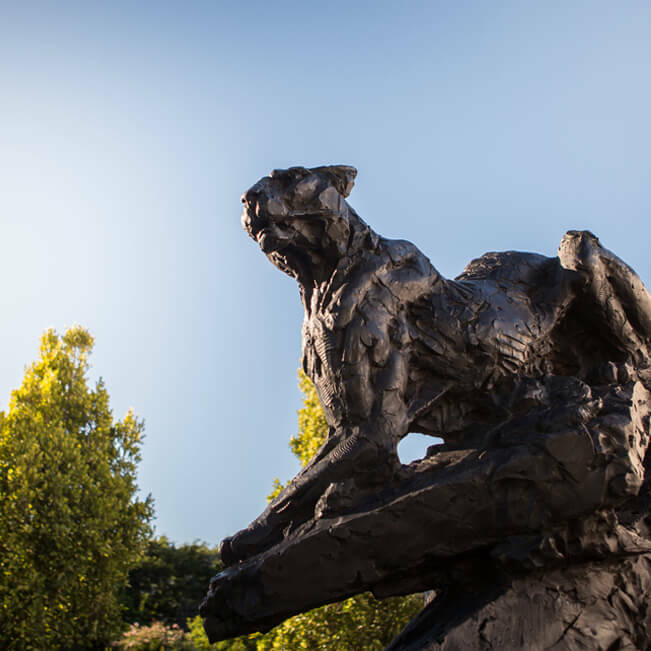 Capturing the spirit of the big cats for which the sculptor has become known, this lithe leopard appears of have leapt down from the rugged mountains that form a dramatic backdrop to the swimming pool area. 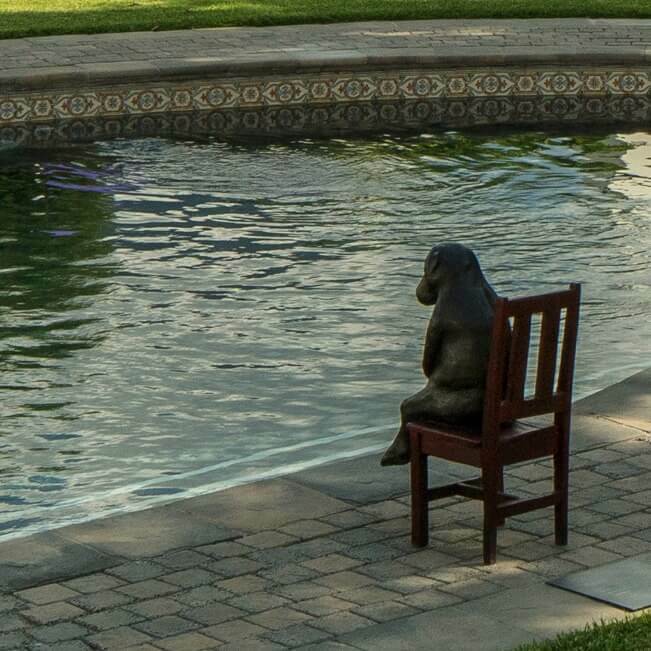 These baboons on suitcases mark the outside corners of the swimming pool area. These baboons are seated around the swimming pool. Playful and mischievous, two bronze monkeys perch on a see- saw in the swimming pool surrounds.